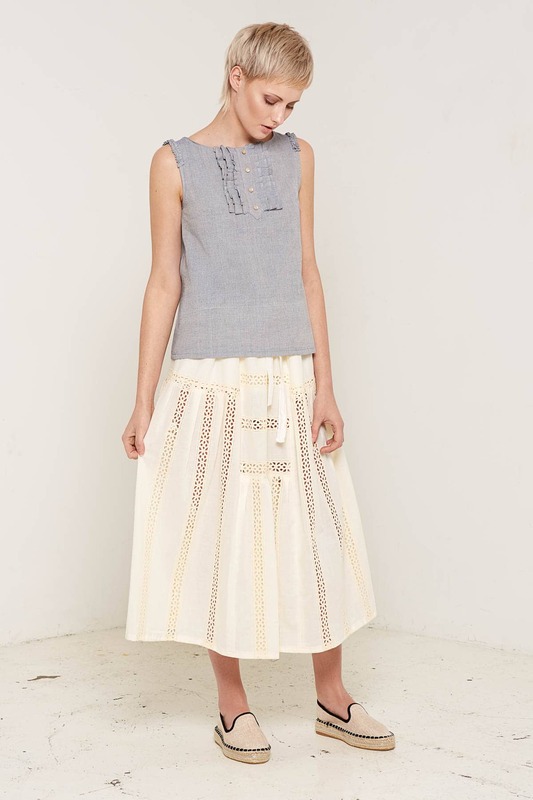 This lightweight 100% certified organic embroidered cotton skirt is the perfect choice for the spring-summer season. Comfortable fit with adjust waist and fitted belt. Designed and made in England. Available in cream and black colours.